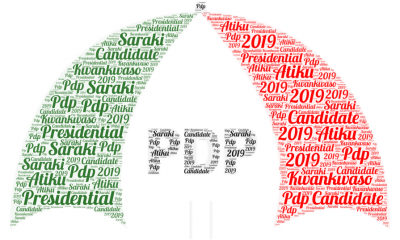 The Peoples Democratic Party Youth Frontier insisted on free, fair and credible primary in determine those that will fly the Peoples Democratic Party flag in the 2019 general election. Comrade Austin Okai, the national coordinator of the opposition youth body made this known on Saturday in a press statement in Abuja. “Nigerians today are aligned with our great party, the Peoples Democratic Party, due to its tradition of resisting imposition and ensuring level playing field for aspirants seeking ticket to contest various offices. PDP’s mantra has always been the people being determinant of who hold power or represent them at any level, a tradition that is in tune with the vision of the founding fathers of our great party. Therefore, it will portend a great danger to our great party if attempts by some certain officeholders to get automatic tickets is upheld except where consensus is agreed after due consultation with party members, other aspirants and leaders at all levels of the area concerned. Nigerians may recall that in year 2003, 2011 and 2015, incumbent presidents Olusegun Obasanjo and Goodluck Jonathan respectively were subjected to primary process despite being leaders of the party as as then. It could also be recalled that no Governor seeking reelection under PDP have been granted automatic ticket in the past, they were all subjected to primary process of the party. We therefore admonish the National Working Committee to call everyone tinkering with the idea of automatic ticket to order irrespective of how highly place they may assume to be, and advice them to go to their respective constituencies to seek mandate of party members under a free, fair and transparent process. The PDP Youth Frontier shall not relent in ensuring that this strange monster called automatic ticket does not have its way nor raise its head because PDP is the only party that Nigerians are banking on to rescue the country. Our greatest asset is our democratic credentials. Finally, we wish to commend the National Chairman, Prince Uche Secondus and members of National Working Committee for the good work they have been doing in spite of persecution from the tyrannical government of President Muhammadu Buhari, and for repositioning our great party to takeover the reins of power in 2019”, it ended.